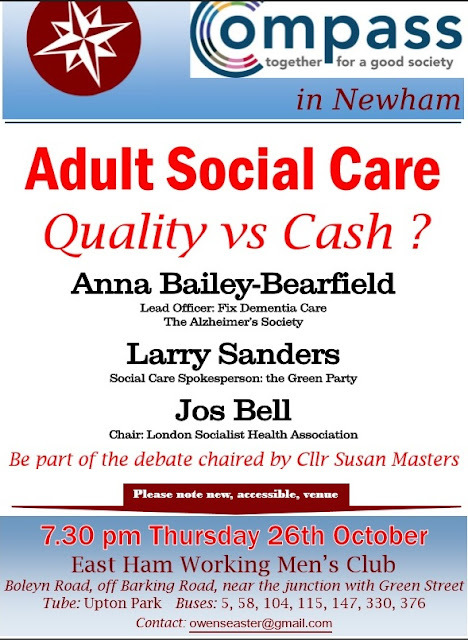 John's Labour blog: Newham Compass debate on Adult Social Care - Quality vs Cash? Newham Compass debate on Adult Social Care - Quality vs Cash? Adult Social Care - Quality vs Cash ? Please note the new, fully accessible, venue: East Ham Workingmen's Club, Boleyn Road.